Dr. Janel Curry has served as provost at Gordon College since the fall of 2012. She holds a Ph.D. in geography from the University of Minnesota, and came to Gordon from Calvin College in Grand Rapids, Michigan, where she served as both a faculty member and an administrator for 16 years. The topics of her research and publications draw on her international experience and range from issues of environmental management to the liberal arts in a global context. Her most recent book, Reading Hong Kong, Reading Ourselves, addresses the topic of cross-cultural learning, which built on her assignment working as a Fulbright Scholar in Hong Kong in 2010 and as a visiting scholar in 2012. As the chief academic officer at Gordon College, Dr. Curry leads an intellectual community of scholars and teachers in 21 academic departments, reporting to the president and serving as a member of the president's cabinet. 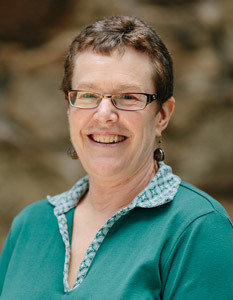 She oversees numerous academic programs, provides guidance to curriculum needs and pedagogy, and helps connect faculty with specific grant opportunities and scholarship contributions. She also writes weekly email updates called “Margins” for the faculty, where she discusses trends in higher education, unique pedagogy practices, and specific accomplishments by Gordon professors. When Dr. Curry is not attending meetings, campus lectures, concerts, plays or exhibits, she can be found exploring and hiking the trails and woods of the North Shore. Dr. Curry has provided leadership in discussions related to women in leadership within the evangelical community through her research on the Women in Leadership project, essays and publications, and workshops focused on promoting best practices.